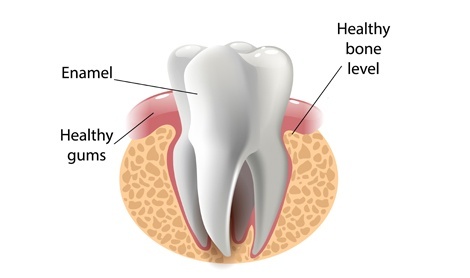 While your bone and gum tissue normally fits snugly around your teeth, gum disease can cause great damage to supporting gum tissue and bone structure. This decay can even form pockets around your teeth. If these pockets are not addressed, they can enlarge and provide ample space for bacteria to grow and create many problems. When the bacteria are able to grow in these pockets, bone structure and gum tissue are inevitably lost. If enough bone is lost, it will become necessary to extract teeth. To avoid this problem, flap surgery can be done to remove deposits of plaque and tartar which have built up in the deep pockets around the teeth. The treatment will need to be carried out by an oral surgeon or specialist. As with any surgery, you will want to follow the instructions of the dentist regarding follow up care of your gums and teeth. Proper oral hygiene after gum flap surgery should help prevent future gum disease.